Investigating think tanks on both sides of the political divide, the author defines these groups in the context of British politics, explores their impact on the climate of opinion, and calculates how effective they have been in influencing government in general and key policy areas in particular. 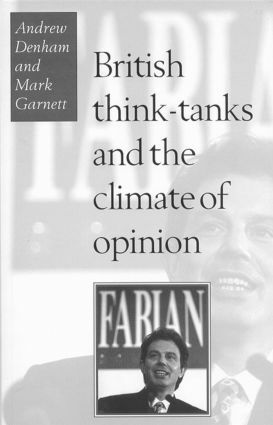 Think tanks have rarely come under the spotlight and the author offers a probing but balanced overview of a political phenomenon. ; This book should prove to be valuable reading for students of political science, public administration and contemporary British history.